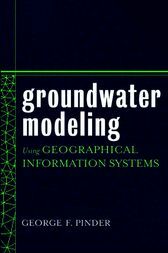 Groundwater Modeling Using Geographical Information Systems covers fundamental information on flow and mass transport modeling and demonstrates how GIS technology makes these models and analyses more accurate than ever before. GIS technology allows for swift organization, quantification, and interpretation of large quantities of geohydrological data with computer accuracy and minimal risk of human error. This book's companion Web site provides the Princeton Transport Code, as well as the plug-in extensions required to interface this code with the Argus ONE numerical environment software enclosed with this book. Plug-in extensions for MODFLOW and MT3D computer codes can be found at the Argus ONE Web site (www.argusint.com). The process for using the Geographic Modeling Approach (GMA) to model groundwater flow and transport is demonstrated step by step with a field example from Tucson, Arizona. The GMA is composed of the Argus ONE Geographic Information Modeling system and the Princeton Transport Code groundwater flow and transport model, interfaced through the plug-in extension available on Argus ONE. Enhanced with more than 150 illustrations and screen captures, Groundwater Modeling Using Geographical Information Systems is a fundamental book for civil engineers, hydrologists, environmental engineers, geologists, and students in these fields, as well as software engineers working on GIS applications and environmental attorneys and regulators. When used in combination with the free modeling software, this book provides an excellent student text. GEORGE F. PINDER, PhD, is a professor in the Civil and Environmental Engineering Department and a professor of mathematics and statistics at the University of Vermont in Burlington.